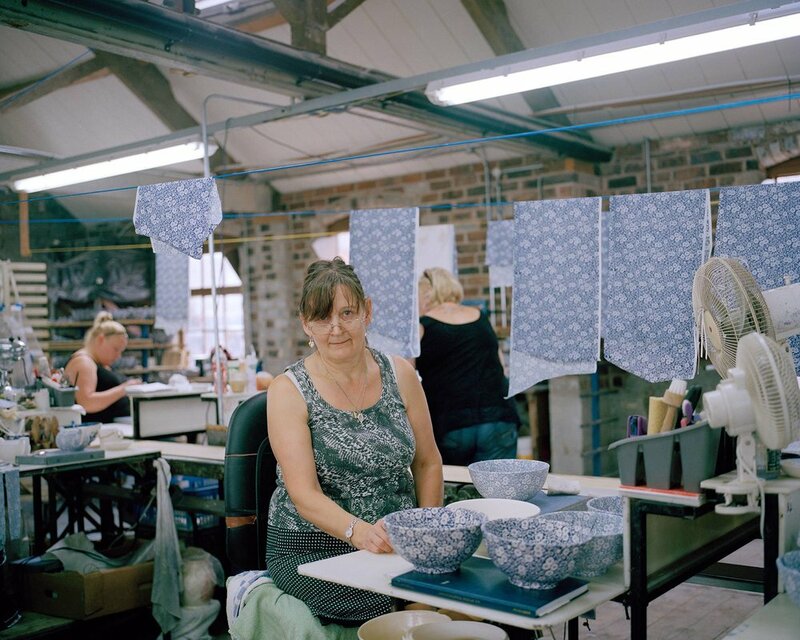 The Financial Times commissioned me to shoot a series of photographs at the historic Middleport Pottery, Stoke-on-Trent, focusing on its impressive Victorian buildings and several of its skilled factory workers. 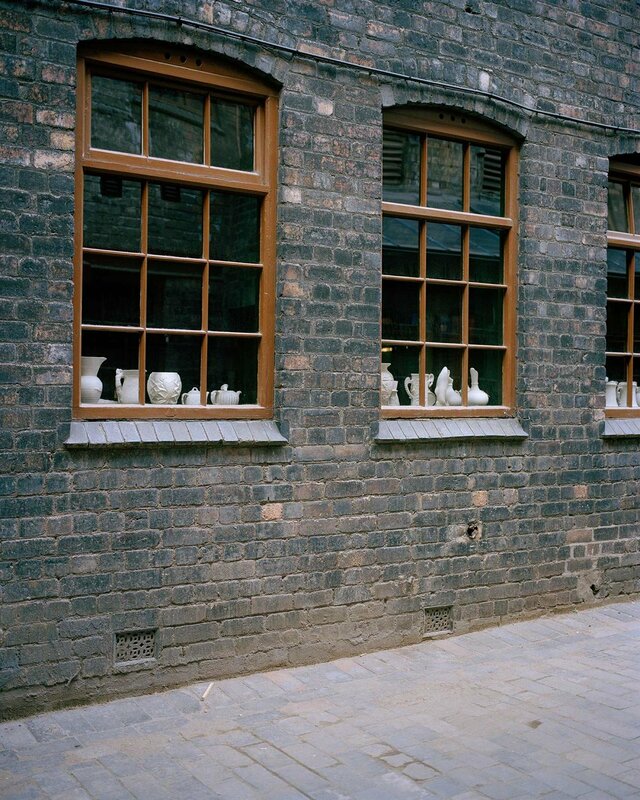 Middleport is the oldest continuous working china factory in Britain but recently was threatened with closure, feeling the full force of the financial crisis and struggling to maintain worn out buildings that had seen over 100 years of production. The Prince’s Regeneration Trust stepped in to rescue the ailing factory in 2011, purchasing it and setting to work restoring the original structures, saving jobs and creating a new hub for the community. The story featured in a special royal issue of FT House & Home alongside a rare interview with The Prince of Wales and other pieces on The Prince’s community work. 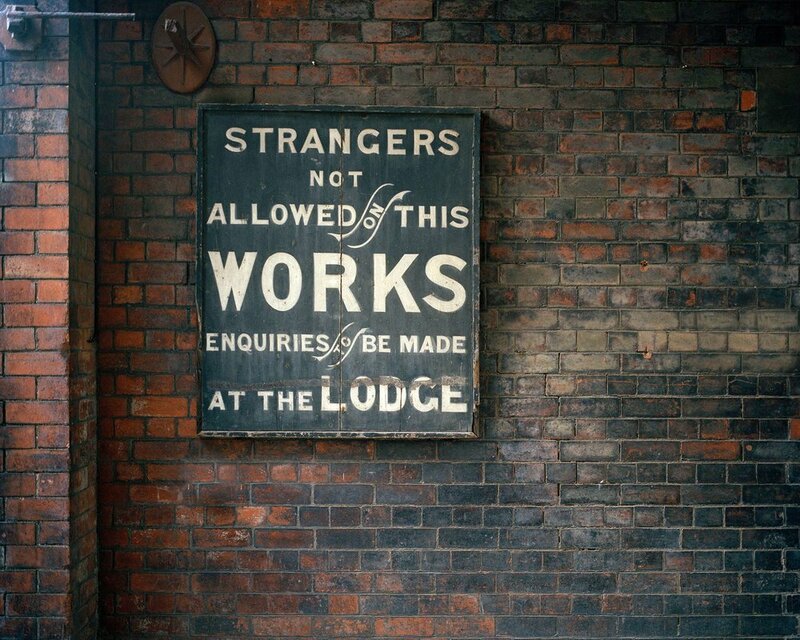 A kiln placer, whose first job at Middleport, aged 16, was was a “Saggarmaker’s Bottom Knocker”. 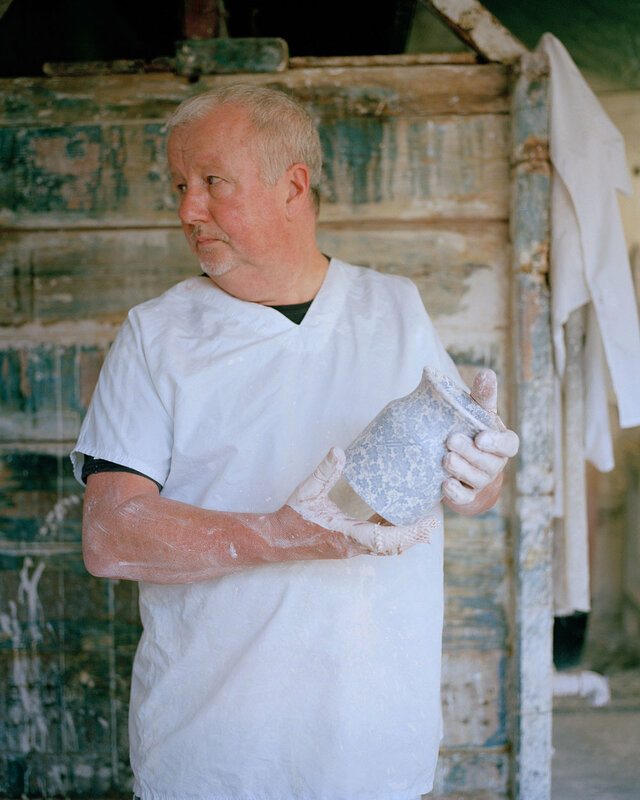 A glazer, who has worked at Middleport for about 40 years. 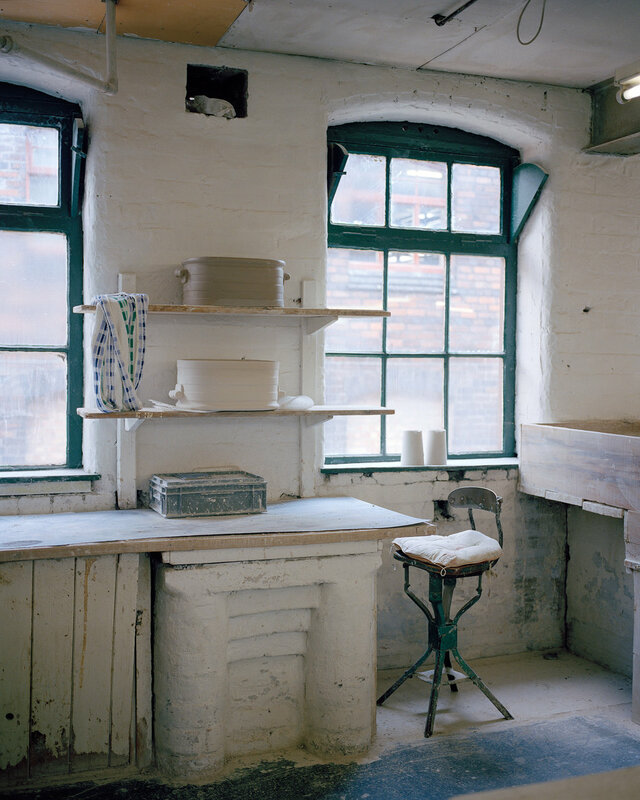 A caster at Middleport Pottery. 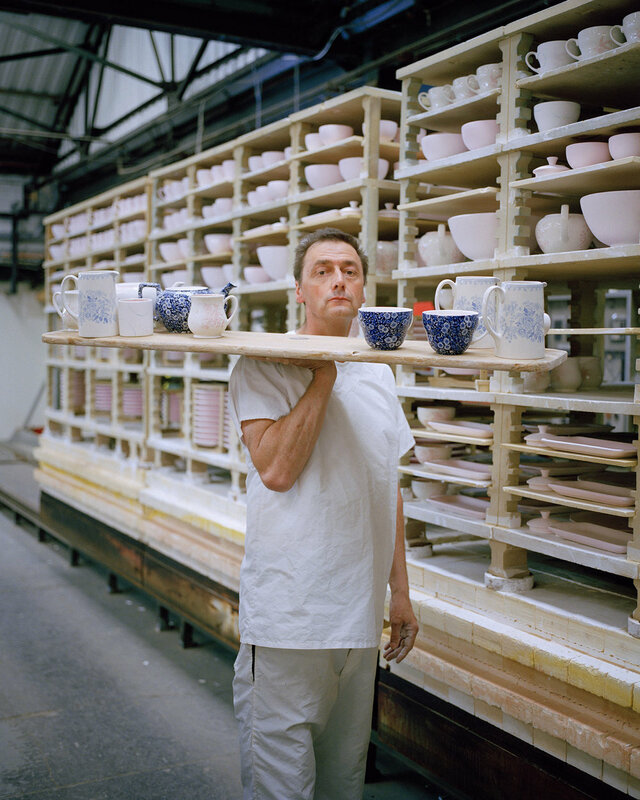 A specialist decorator, transfers patterns by hand onto the pottery.